You Dream it – PURE FLORIDA will make it happen! The following are a list of some of the basic questions we have received. Do you have food on the boat? Do you have drinks on the boat? Yes we have a cash bar available with Beer, Wine, Soda, and Water & Light Snacks Option of personal selection of beverage available. Do we have any specials that include food? We have a special with Pincher’s Crab Shack where our Double Sunshine is docked for $49.00 per ticket that includes a trip of your choice on the Double Sunshine and lunch or dinner at Pincher’s. You may choose any entrée up to $14.99 . Tax and gratuity are not included in this ticket. We also have a combo ticket with River Walk which is a cruise of your choice on the Double Sunshine and lunch or dinner at River Walk which is down the board walk for only $59.00 per person. You may choose any thing on the menu (except steak & stone crabs) this ticket also includes either a cocktail or dessert. Tax & gratuity are not included. Friends in town? Business Outing? Anniversary? Wedding Party? Birthday? Guy’s Day? Gal’s Day? Our Naples team can fill your requirements on any of our specialized vessels. Choose from four Fishing Boat options, Deck Boats, Jet Skis, Jet Boat, M/V Naples Explorer or M/V Double Sunshine for whatever your needs may be. 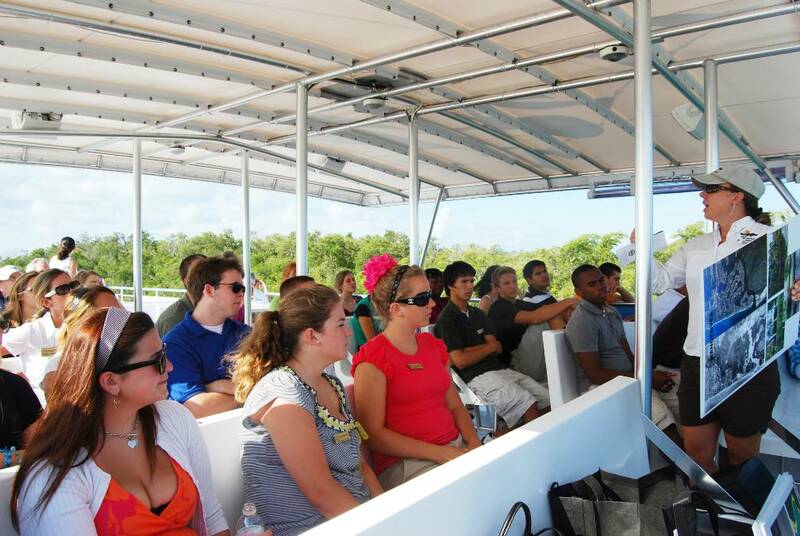 We’re happy to work with you and make your Private Cruise special for you and your party. 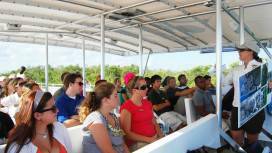 Specialty Cruises offered for family, business, special interests or education groups can be arranged through the Naples Cruise Coordinators at Pure Florida. Whether it is just for a break in the day or a purpose driven venue, we are happy to meet your requirements. Choose from any of our vessels or floating personal watercraft for your purpose; with your catering preferences, this can be Pure fun and thrills on the water!